You must make reservations at least 5 minutes in advance of the time at Mali Restaurant. Please contact the restaurant, we provide catering services. We have a heated patio that can be utilized for private parties, holiday events , baby and wedding showers, etc. Ability to accommodate 60-75 people. According to Zagat, This "excellent" local spot where Va-Highlanders meet is known for its "great patio" and "good, reasonably priced sushi and Thai food"; it's a mystery why it's "rarely crowded", but "those who love it" and want to keep it all to themselves "hope it stays that way." Two freshly made steamed rolls stuffed with sautéed chicken, shrimp, egg and vegetables. Served with sweet plum sauce with peanuts. Two crispy rolls stuffed with chicken, shrimp, cabbage and glass noodles. Served with peanut sauce. Two non-fried rolls stuffed with homemade barbequed pork, shrimp, noodles, basil, bean sprouts and lettuce. Served with tamarind sauce topped with crushed peanuts. Fried wonton stuffed with onion and Ricotta cheese. Served with sweet chili sauce. Garden green salad with chicken, shrimp and hard-boiled egg. Topped with ground peanuts. Served with light sweet vinaigrette dressing. Grilled Atlantic salmon with sautéed mixed vegetables, mushroom, basil, and pepper, in a spicy basil sauce. Shrimp sautéed with zucchini, bamboo shoot, green pea, bell pepper and basil in a coconut green curry. Shrimp sautéed with assorted vegetables in a spicy garlic sauce. Topped with sweet crispy basil. Shrimp sautéed with sweet onion, avocado, coconut milk and cashew nuts in a Massaman curry. Shrimp and diver's scallop sautéed with asparagus, onion, carrot and mushrooms in a sweet chili sauce. Tempura fried large soft shell crab served with asparagus, carrot, onion and mushrooms in a sweet chili sauce. Kaffir lime infused Panang curry with chicken, basil, bell pepper. Mild spiced sweet coconut Massaman curry with chicken, onion, avocado and cashew nuts. Thai traditional red curry with bamboo shoot, green peas, basil, bell pepper and your choice of chicken or beef. Your choice of chicken or pork sautéed in a spicy garlic sauce. Accompanied with sautéed mixed vegetables, mushroom. Stir-fried chicken with vegetables in a spicy tomato sauce. Sautéed chicken with bamboo shoots, mushrooms and scallion in a light brown sauce. Sautéed chicken with vegetables, mushroom in a roasted chili sauce. 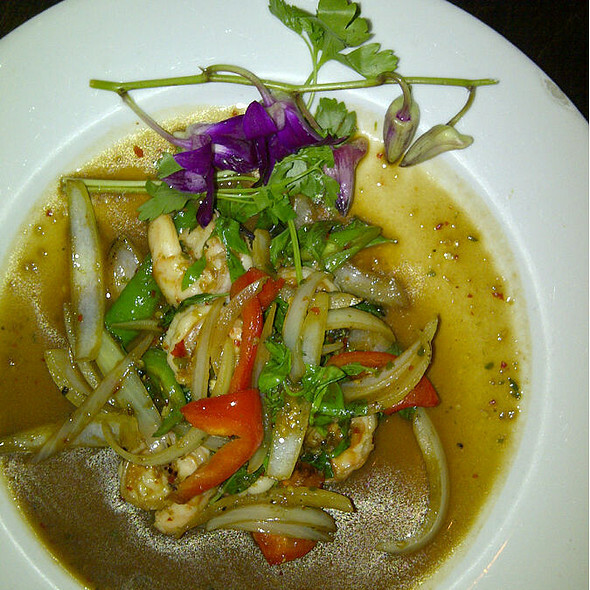 Your choice of chicken or beef sautéed with fresh Thai basil, onion, bell pepper in a spicy basil sauce. Sautéed pork tenderloin with string beans, shredded kaffir lime leaves, chili and basil in a traditional Pik King sauce. Ginger soy marinated and charcoal grilled chicken breast. Served with garlic rice, sautéed mixed vegetables, mushroom and a ginger soy sauce. Fried tofu sautéed with mixed vegetables in a roasted chili sauce. Chinese eggplant sautéed with onion and pepper in a spicy basil sauce. Mixed vegetables sautéed with avocado, onion and cashew nuts in a famous Massaman curry. Rice noodles stir-fried with shrimp, chicken, green onion and egg. Served with fresh bean sprouts, ground peanuts. A classic Pad Thai noodles with shrimp, scallop and ground peanut. Rice noodles sautéed with your choice of meat, tomato, broccoli. carrot, mushroom, basil and pepper in a Thai basil sauce. *Mild Hot, **Hot, ***Very Hot 15% gratuity will be charged to a party of 5 or more. We were very disappointed in our most recent visit. We have been several times and everything was always great. This time the service was horrible. We waited about 20 minutes for our order to be taken, another 20 or so for apps (and my husband’s sushi roll app came about 20 minutes after everyone else’s apps), another half hour for entrees, and then about 20 minutes to get the check after we asked for it. The food is good, but the portions are about half of what you’d get for the same price at any comparable Thai restaurant. We won’t be back. It was very nice. Food was good. Everything about the food was perfect, as usual, but the service by our waiter was totally out of character for Ma Li. Our entire party noticed. Put a damper on our night. Food and location are terrific. As it is very popular, tables are close together and it may be difficult to have a conversation. Our servers were attentive and accommodating. We had changes to our numbers and required more seats, and the staff made changes easily for us. As always, the food and atmosphere are great and fun! I always love coming to Mali! Young male waiter on patio area was dispassionate and not very diplomatic. Should consider something other than waiting tables. Dumplings were amazing. Food was delicious. Service was great and friendly. We had a great experience overall! As always, the food is amazing. Our server, Koi, was awesome. Always great service and fabulous food! I love that I can make reservations for lunch, so I don’t have to worry about a wait. Great place for lunch. Excellent food, good service and just enough energy. Great quality food. Attentive service. Convenient location and parking. Great neighbor jewel!! Always consistent with food and service!! One of my Atlanta favorite!! Food and service were excellent. Best basil rolls! Consistently quality experience. Reasonable prices. We’ll be back. Thank you for the great review, please come back soon! Great food and service! Spicy Garlic beef is a must get! I highly recommend the Pai Noodles!!! So delicious. The sushi was also fabulous and I can’t wait to go back! Before this visit, I would have said that this was one of my favorite restaurants in Atlanta. But, my friend and I were shocked at how we were treated when we arrived. We had a reservation and arrived on time. But even though we were standing directly at the host podium, they proceeded to ignore us (not one word or eye contact) and seat other groups who came in behind us, and process credit cards for delivery orders right in front of us. The only reason I could figure is that we were both in our 50's and everyone else involved (staff and customers) appeared to be in their 20's and 30's. We did not complain and patiently waited. But, it made a very bad impression. I will not return any time soon. Mali is a staple of mine. Plain and simple. 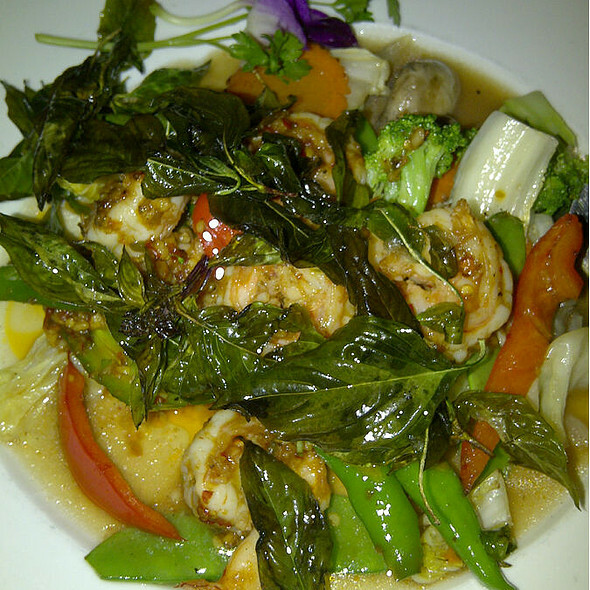 I routinely advise Thai lovers to check it out as you'll never have a bad meal. The food is delicious and the drinks are nice and strong. Check out the desserts (sticky rice w/Mango FTW) if you have a sweet tooth. 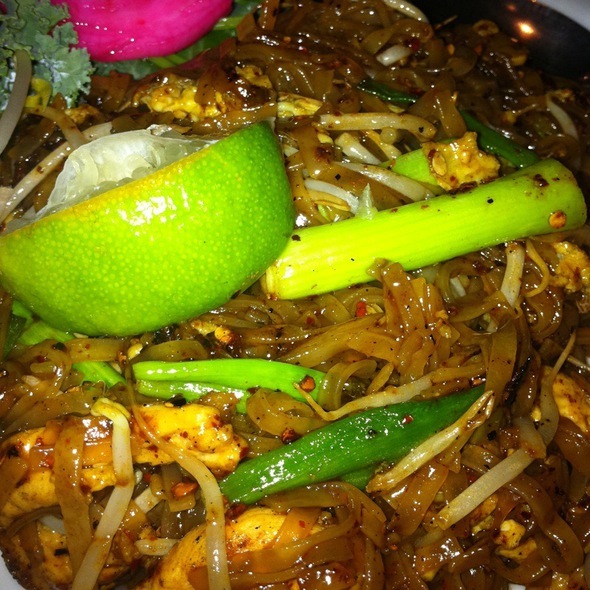 Word to the wise: They can and will do "Thai Hot" upon request, but be prepared for some deliciously serious intensity! This is my favorite spot for Thai in the city, hands down, for a reason. I'm a customer here more times than I can count a year because it just never fails to hit the spot! Ever! The food is good and reasonably priced. However, this particular night the service was hit and miss, especially the bar service. The couple with us got the wrong beer and drink order. My drink didn't taste much like it had liquor in it. I've had better luck in the past, so I'm hoping it was an off night, but don't sit at the high top tables, unless you want to spend the night sliding off your stool. 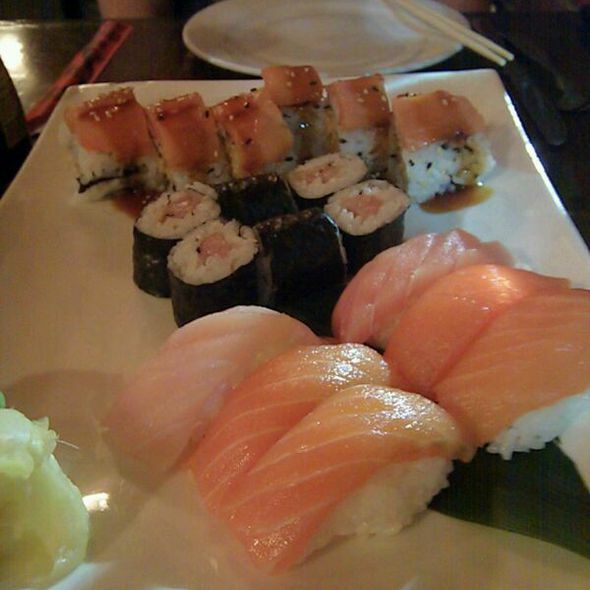 Great food selection from sushi to Thai. Great drinks. Nice ambiance and very accommodating. Easy parking. Would definitely recommend. So sorry that you felt that cold, please ask next time for a warmer spot! We would be happy to accommodate you and please come back soon. We ate at this restaurant for Valentine’s Day. The food was amazing (hot, came out very quickly - especially considering the busy holiday, flavored perfectly). The interior was beautiful and they added touches for the holiday that made it feel very romantic (balloons, dim lighting, etc). Our server did a good job as well. But back to the food. Amazing. we will definitely be back for the gingerine dish with garlic rice and the majestic catfish dish. Thank you for the good review and please come again! Date night; we enjoyed this random choice of restaurants off of Opentable. We will definitely return. We are sorry that your experience was poor and did not meet your expectations. Please come back to the restaurant and share your last experience with the host and we will make sure to exceed your expectations. We truly want to earn your business back! Mali never disappoints. My date and I both had the massaman curry. Highly recommended. Thank you for the good review and please come again! Chef Panda makes a great massaman curry and we are glad you enjoyed it! Always the best. Mali has been the most constantly good restaurant we have experienced over the years in Atlanta. You get what you pay for. People talk like this place is super fantastic for a low price. It's okay. The decor is nice. The tables are disturbingly close together. 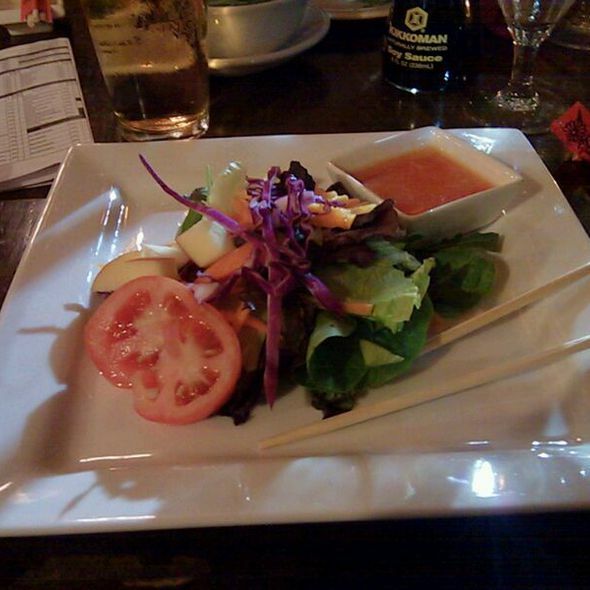 As far as the food, the cucumber seafood salad was delicious. 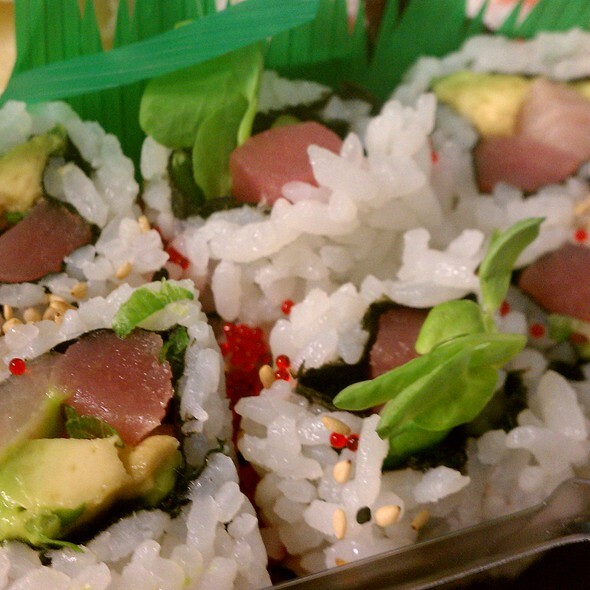 From there, we opted for sushi. The rolls are quite small. The California roll was somehow different that I expected. The shrimp tempura roll was good. 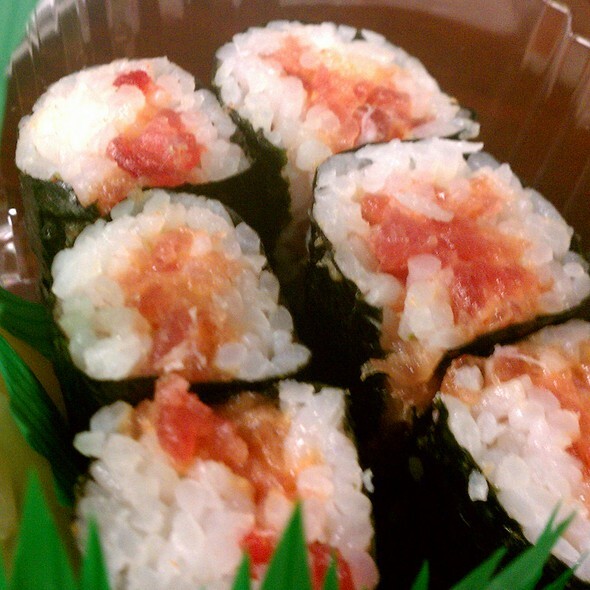 The spicy tuna roll was inedibly spicy for us, and no-frills with just fish skin and rice. At the end, our bill was not terribly different than other sushi restaurants in the area that we prefer. This place is just okay. Thank you for the review and please come again, so that we may exceed your expectations next time. Thank you for the review and please come again! Sorry you had to wait and yes we had a rush of out of town super bowl fans, so thank you for your patience! Always a great meal. The Tom Kha chicken soup was fresh, hot and delicious. Service was good. One person in our party was a few minutes late and didn’t get asked about ordering an appetizer until after the others had already been served. The entrees were very tasty but one of them was not warm enough as if it had been sitting out waiting for the others to be made. Overall, very good and we’ll go back soon. Thank you for the extensive review! We appreciate your detailed comments as well, please come again! 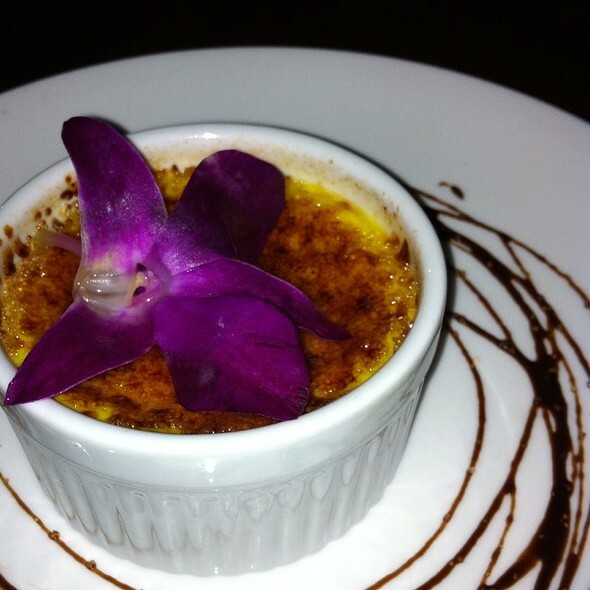 Mali is consistently good food and friendly service with a date-night ambiance. I was especially pleased that our waitress helped to accommodate my food allergy (very little oil) by tweaking a dish on the menu. 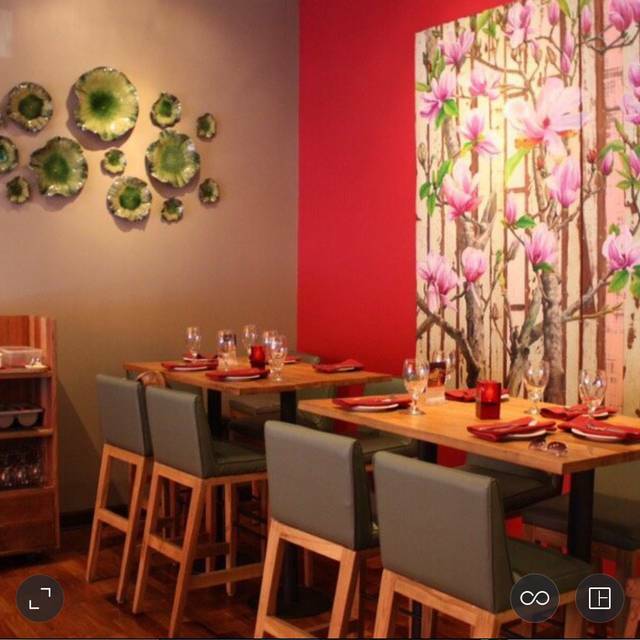 We come here as regulars several times a month and also feel confident when bringing guests. The prices are good. You get a lot of quality and value and interesting selections for the money. Thank you for the great review and please come back soon! Always perfect for any occasion! A neighborhood gem that continues to please. Been here several times and they always deliver. Great food excellent service!